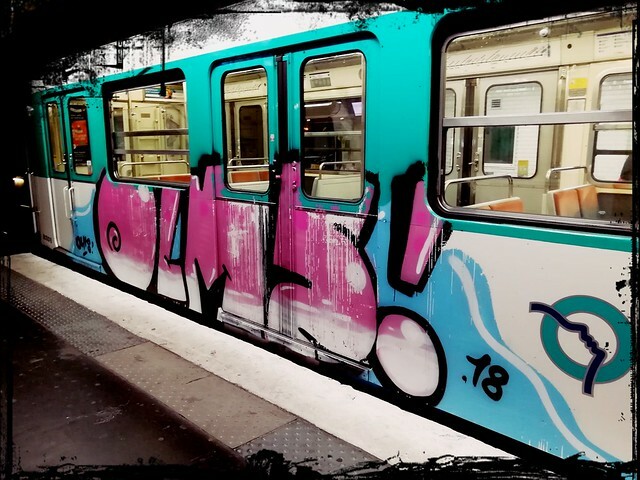 While the adventurous used to travel to the Wild West in search of adventure, gold and wealth, today the most diverse graffiti artists and vandals are drawn to Paris. The reason? 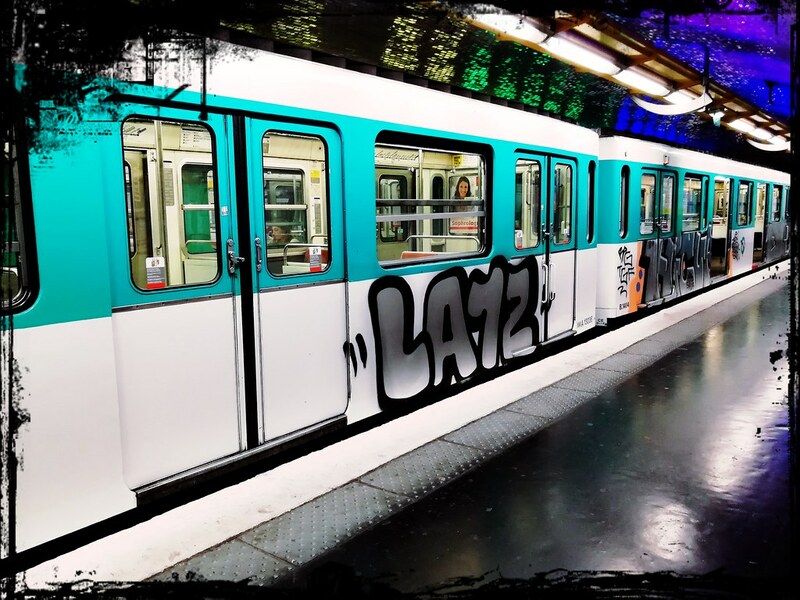 The metro line 12 which crosses the city from the northern Banlieue Aubervilliers to the southern, Issy-les-Moulineaux. 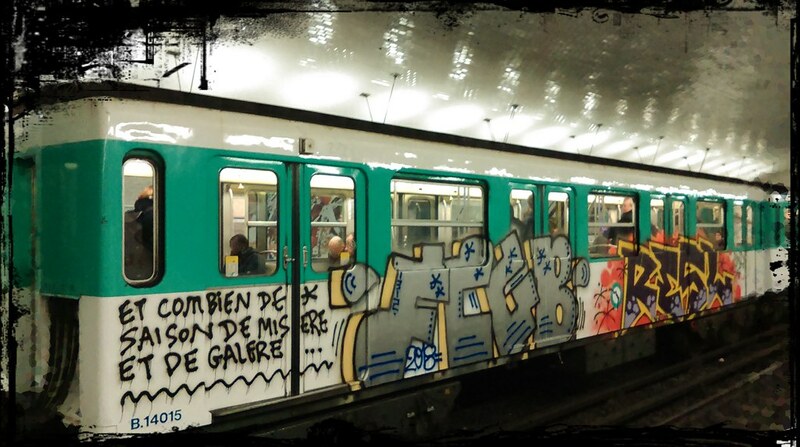 No matter if a graffiti on the Metro per day or five. 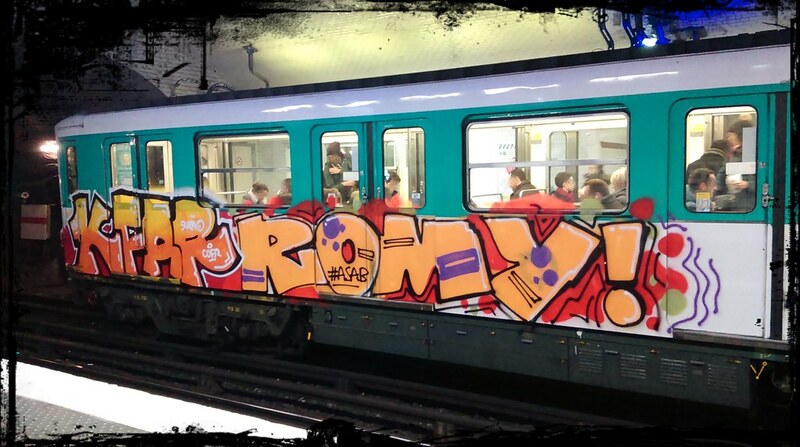 In the train-yards of the 12 reigns a gold rush atmosphere. 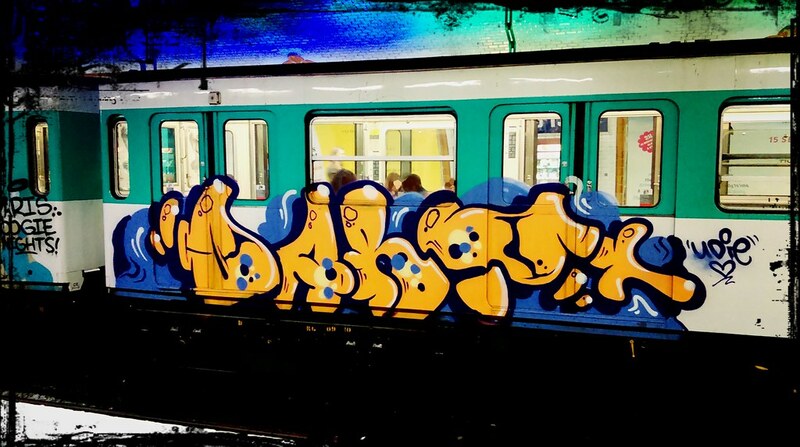 The subway line enjoys great popularity with the numerous local and international graffiti crews. 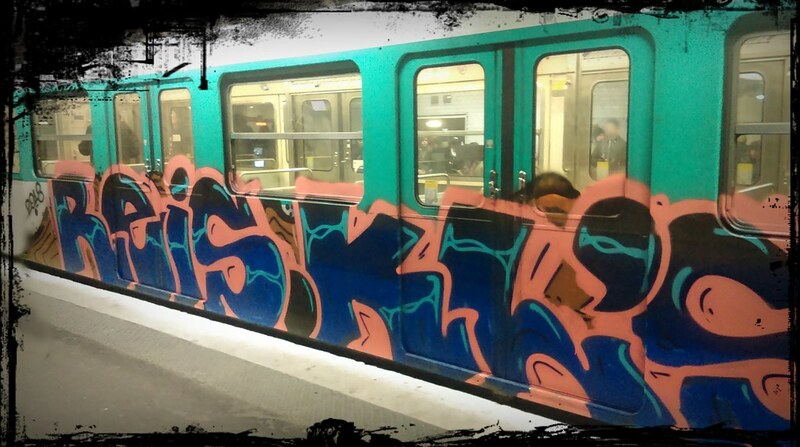 From Reis (Lisbon) to RWS & ORF (Bonn) the wicked line 12 is a pilgrimage place of the Paris graffiti-scene. And sometimes also an expression of their anonymous world of thoughts (“and how many times of misery and evil…”). Popular among the sprayers for its design are the MF67 models, which celebrated their first appearance between 1967 – 1978. The previously used Sprague-Thompson trains were replaced and the new models got introduced. 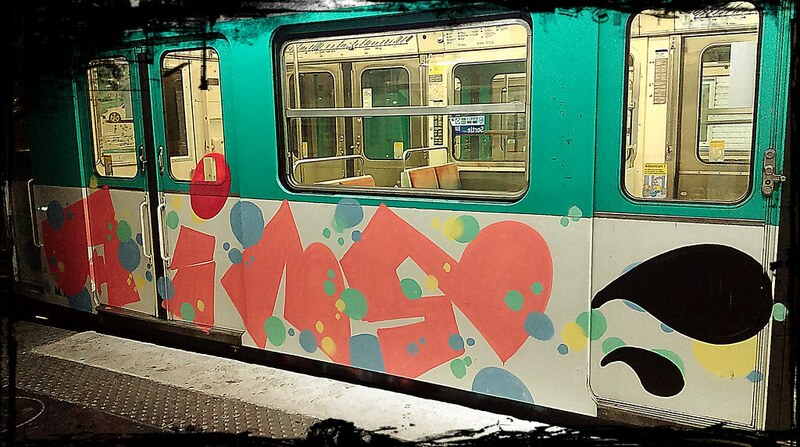 The name derives from “Métro Fer appel d’offre 1967” (Iron-Métro call 1967). 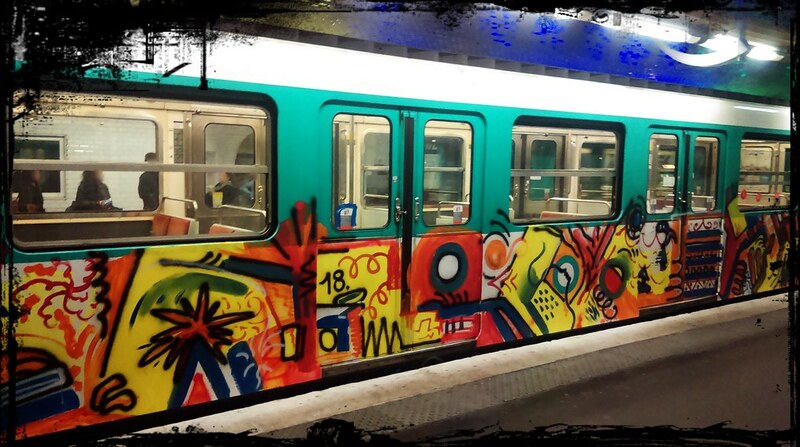 The Line 12 has 50 of the 138 MF-67 models in service. 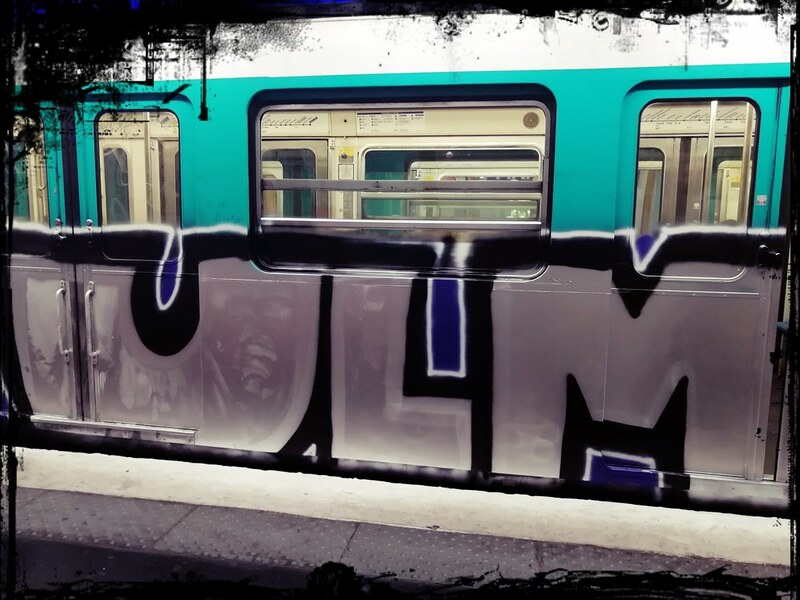 The blue-green-white painting is typical for these older models of the Paris Métroparks. 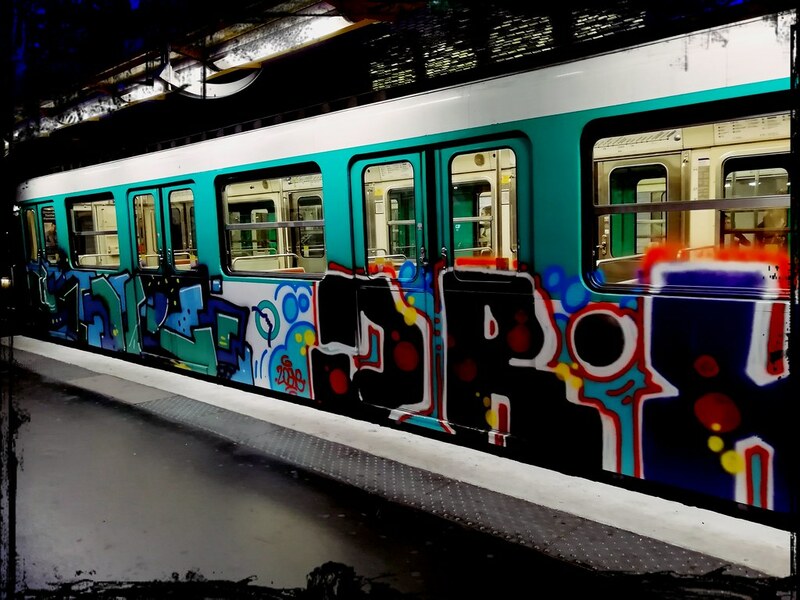 In the graffiti scene, world-famous for its graffiti aesthetics, it regularly draws crews from all over the world into the underground shafts of the Line 12 somewhere in the north of Paris. 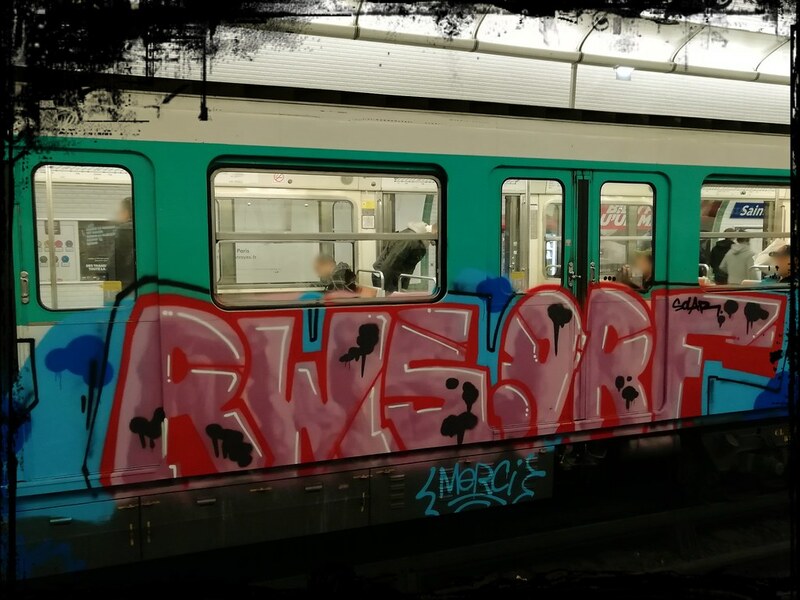 In the photo below you can see a graffiti of the Portuguese “Reis” crew. These are from Lisbon and means translated “kings”.